The Holidays are here! The Holiday Christmas Crawl will feature thirteen galleries all decked out in their holiday finery on Friday, November 30 from 5-8 pm. 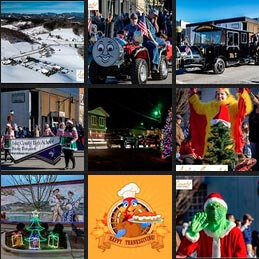 Sponsored by the Ashe County Arts Council, the Christmas Crawl showcases and promotes the varied artistic talents in Downtown West Jefferson just in time for your holiday shopping.